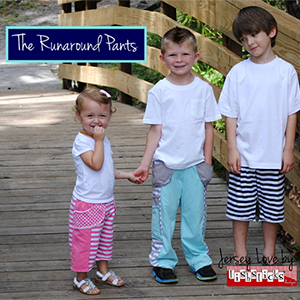 Styled for both boys and girls, the easy wear and stylish look of the Runaround Pants will make them a favorite for running around at playtime and snuggling up at bedtime. 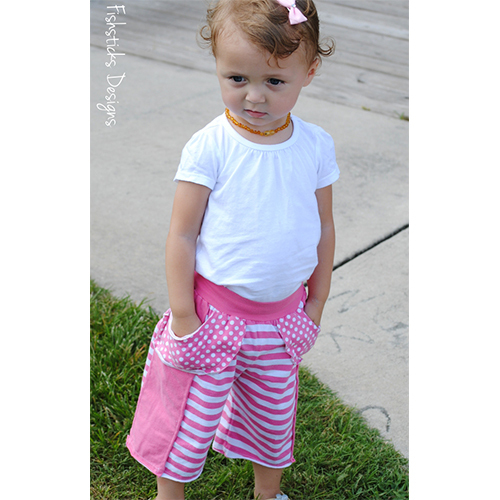 Choose between boardshort length, capris and full-length pants, then add the optional side stripe, curved front pockets or, on the full-length pants, side cargo pockets. 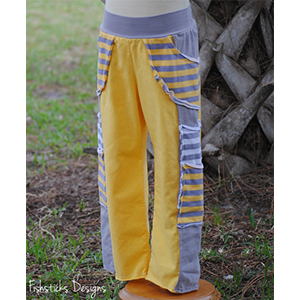 Raw edges on the side stripe, pockets and hem add a touch of playfulness and a modern finish. Recommended fabrics are cotton or cotton blend jerseys for best results. 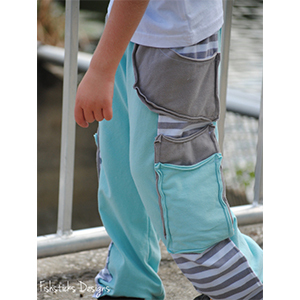 Cotton/spandex or cotton/lycra jersey or rib knit for waistband.